Have you ever thought of travelling across Europe with a free railway-ticket? This summer marks the launch of one of the newest, coolest, and most exciting project of the EU: the DiscoverEU programme. This initiative – of which we could only have dreamt of until recently – is not merely about providing every young European with a free rail-ticket upon turning 18. 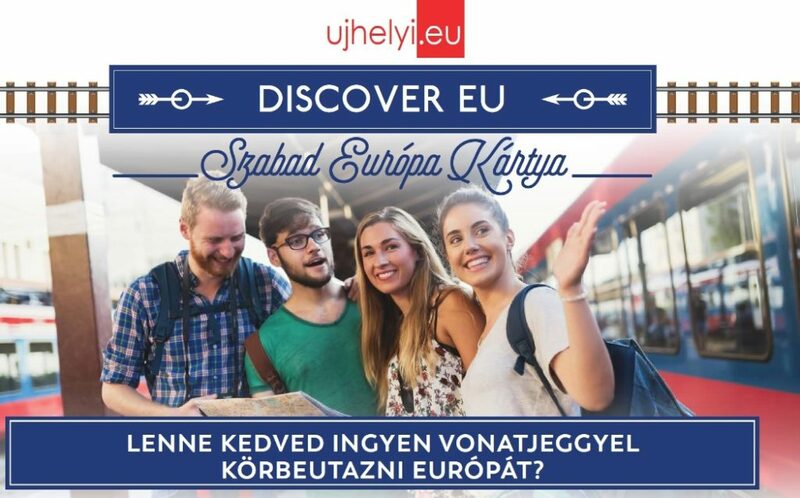 The free Interrail ticket, or the „Free Europe Card” will open Europe’s gates for you to discover other European countries, cultures and people, whether you travel alone or together with your friends. Two young Greman activists introduced the free interrail idea first: Vincent-Immanuel Herr and Martin Speer wanted the EU to give every young European a free railway-pass on their 18th birthday. This would provide an opportunity to strengthen cultural relations between EU member states and foster a true European identity for every participant. Istvan Ujhelyi, Hungarian Member of the Eurpoean Palriament was the first politician to react and mentor the project in the maze of European institutions until its final success. It was a journey full of seemingly impermeable obstacles but – following an edifying pilot project – the initiative is now fully operational with more than 20.000 young Europeans to travel free of charge only this year. The project has since gained significant backing from a range of political actors in Brussels. Without the support of Manfred Weber, President of the EPP Group and Tibor Navracsics, European Commissioner for Education, Culture, Youth and Sport we could not tell you now to pack your luggage and jump into this adventure of a lifetime! All aboard? Let’s go! • 2014: The first articles are published in the German media covering the original idea of Mr Herr and Me Speer. 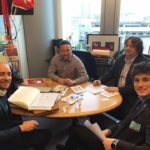 • 2015: Istvan Ujhelyi, Hungarian Member of the European Parliament invites Mr Herr and Mr Speer to Brussels to talk about the execution of the programme. 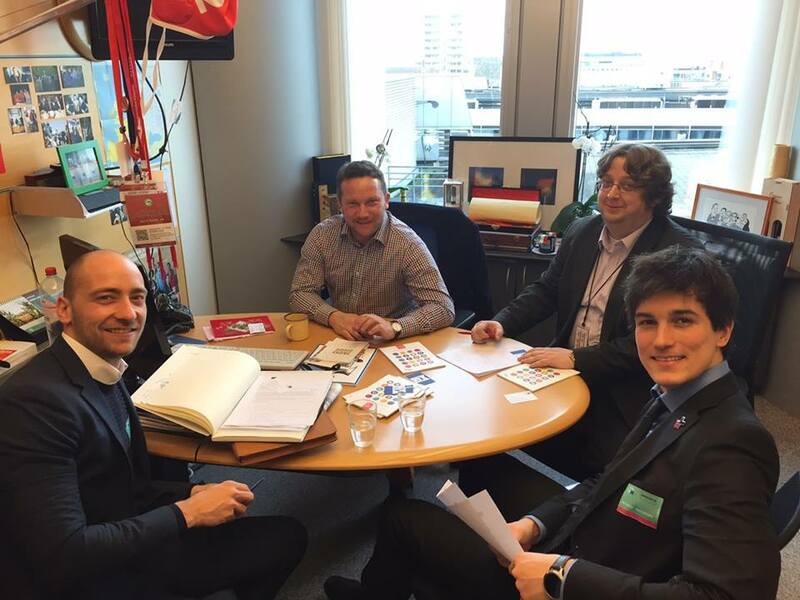 • 2015: After numerous meetings and discussions, MEP Istvan Ujhelyi becomes the mentor of the initiative. He submits the free interrail project as a pilot project to the European Commission, which at first discards the idea. • 2016: Manfred Weber, President of the European People’s Party (EPP) expresses his support for the project during the State of the Union debate in Strasbourg. He calls on European institutions to realize the free interrail programme. The EPP group officially backs the idea. 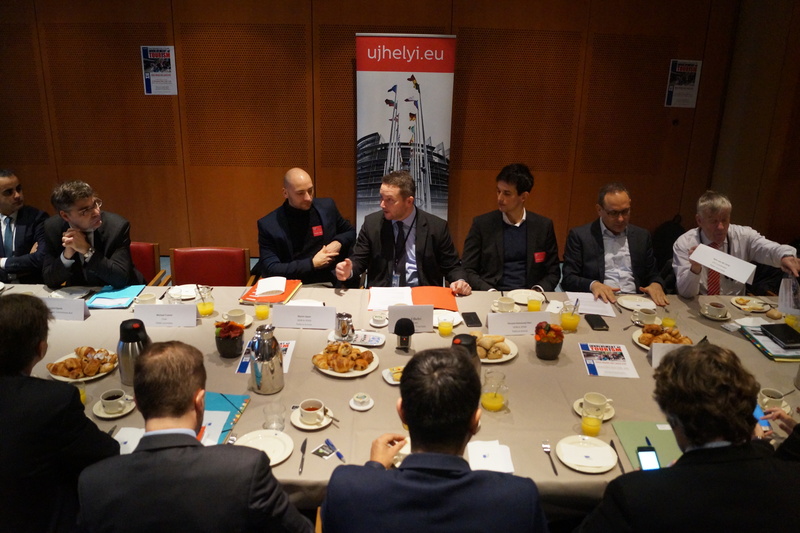 • 2016: MEP Ujhelyi organizes a roundtable debate together with the German activists. Participants include representatives of European Parliamentary groups, the European Commission, and the European tourism industry. Officials of the Commission announce during the meeting that the institution will launch a free interrail pilot project. • 2017: A narrow-scope E-twinning programme and a pilot project is launched: first, only bigger groups school classes could travel before the programme was expanded to individual travellers as well. • 2017: The EPP and the S&D, the two biggest groups in the European Parlament reach an agreement about a widened, thoroughly reformed pilot project with 12 million euros as a preliminary budget for 2018. • 2018: MEP Ujhelyi organizes a conference to evaluate the results of the 2017 pilot project. An adviser from Commissioner Navracsics’ cabinet explained the new framework of the free interrail programme for 2018. • 2018: Commissioner Navracsics’ cabinet is discussing the finalization of the programme with the offices of MEP Ujhelyi and MEP Weber involving representatives of the railway and tourism sectors as well. • 2018: Jean-Claude Juncker, the President of the European Commission announces that the 2021-2027 multiannual financial framework grants 700 million euros for the final project – this corresponds to 100 million euros annually. 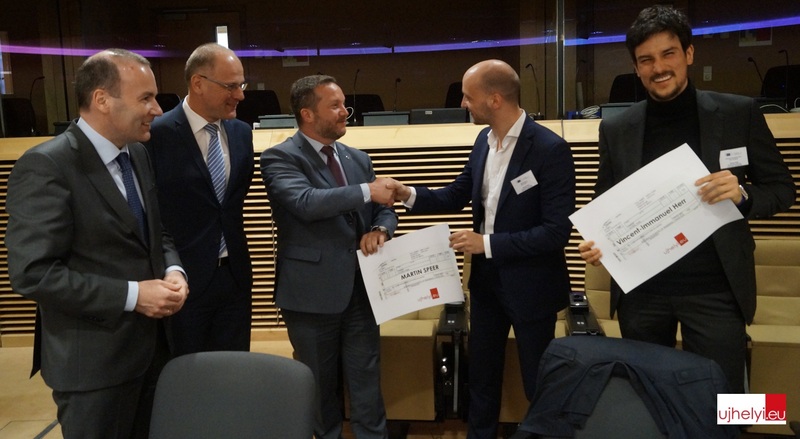 • 2018. május 3.: At an event held in the European Commission, Commissioner Navracsics, MEP Ujhelyi and MEP Weber jointly announce the official start of a full-fledged free interrail programme for 2018 summer. 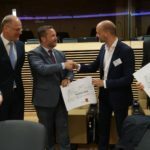 MEP Ujhelyi hands over symbolic interrail-passes to Mr Herr and Speer and invites them to travel to Hungary together with the first Free Europe Card visitors. • The first registration period starts on the 12th of June 2018 and ends on the 26th of June 2018. • More than 20.000 free interrail passes will be given to young Europeans in 20148 only. • Applicants must be 18 years old by the 1st of July 2018 but not older than that. • The planned journey must fall between July and September and cannot be shorter than one day or longer than thirty days. • Applicants may apply individually or as a group for free interrail passes (maximum 5 people in a group). Who will receive the tickets and when? • The selection procedure of successful applicants begins on the 27th of June 2018. • The jury will be composed of officials of the European Commission. • Successful applicants will be notified in e-mail in the beginning of July. Should you have any further questions regarding the project, do not hesitate to contact me.